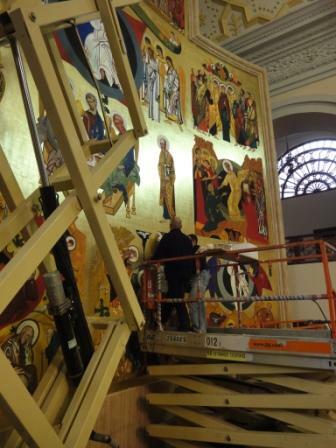 Italians painting Byzantine icons in Shanghai. 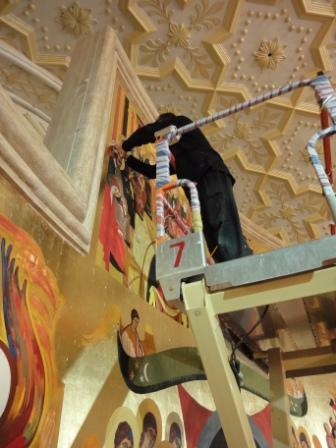 Yesterday afternoon I was invited to visit the almost-completed new fresco in the 150-year-old Dongjiadu Catholic Church (aka, the Jesuit-built St. Xavier Church) in Shanghai. The church is 150 years old, and it’s in the midst of what was once one of Shanghai’s most Catholic neighborhoods (now, mostly demolished – more on that in the next day or so). 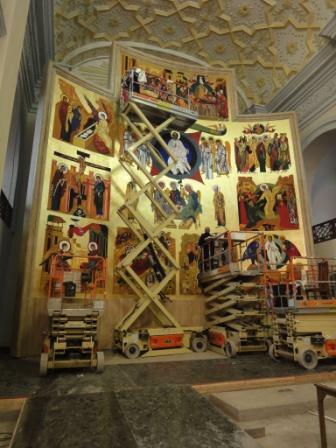 Anyway, the fresco project is privately funded, and very quickly accomplished: according to Juan Pablo Civíl, the leader of the team of one-dozen artists commissioned to do the work, it required a mere four days of drawing, and nine days of painting (and affixing of gold leaf). That’s quick, I’d say, and proof perhaps that – at least when it comes to frescoes – the Europeans can compete with Chinese production rates. This entry was posted in Architecture, Arts, Catholicism by Adam. Bookmark the permalink. It does make you wonder whether Michelangelo really took four years to paint the Sistine Chapel ceiling! if he don’t paint, the stones will cry out. Benditos!! Los que anuncian el evangelio!! Even with Kiko´s approval, I believe that for such an important cathedral, he could design an special icon for it. He is still alive for Crist sake! such an incredible artist should be making the most of himself. 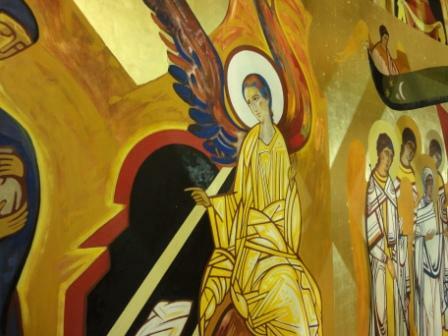 Here in China, there is a copy of everything, now we got legal Kikos icons in the cathedral as well. If you ask me, I live here, and I would like to see the real one!